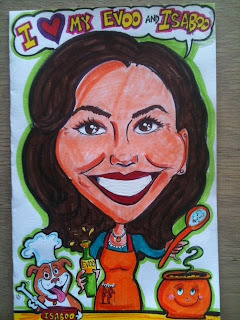 So, early tomorrow morning I will be going to the Rachael Ray show as an audience member. I love watching her show and really am into 30 minute meals. Who has time to cook a ton of stuff? Rachael makes it quick, easy and fun! I’m crossing my fingers in hopes of giving her this caricature I did of her. Wish me luck!